Philomena is two and a half years old, and she still nurses. American culture is funny. I could say my way of bonding with her at night is to snuggle in front of a t.v. screen together eating a packet of sugary fruit snacks and most wouldn’t give that ritual a second thought. 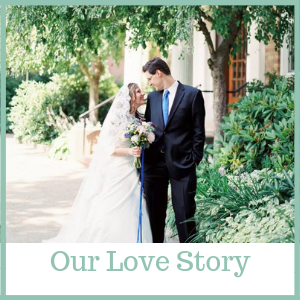 But say that you two rock quietly in a chair nursing, me talking about our day, and her getting the most amazing milk specially designed for her and Zelie’s needs… and the reactions are varied, and almost always strong. Every once in a while it comes up and someone will say how awesome it is, but more often then not, people seem totally confused, weirded out, or even disgusted. Why on earth would I bother with this? Why wasn’t she just weaned at one? And I get it, per the CDC, only 30% of breastfed babies in America are still nursing at a year, with 20% of babies not breastfed in the first place. So I live in a culture where only 10% of all children in the United States are nursing beyond 12 months….nursing my toddler probably does sound weird. 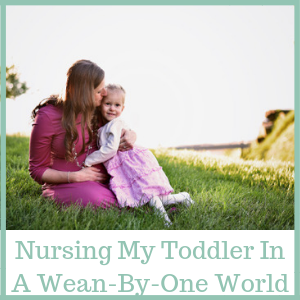 So in a world of weaning by one, why are we still nursing? Philomena has food allergies and didn’t care for solids until much later than is typical. Our allergist and local La Leche League leaders reassured me that it is common for kids like her – it is like a self-protection mechanism since they know food makes them feel sick. It wasn’t until about 18-20ish months when we had her eczema and allergies under much better control that solid food had become her primary source of nutrition. 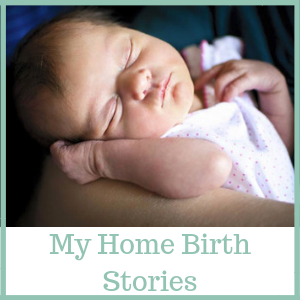 Nursing was not “just” a comfort measure for my girl after 6 or even 12 months… it really was her food, and she was thriving on it. When I was morning sick and exhausted that first trimester carrying Zelie, I could always help my endlessly on-the-go 1.5 year old girl settle down for a while with a nurse in bed. When Philomena got an awful ear infection and vomiting bug at 20 months, she had no interest in eating or drinking, but I could still nurse her to keep her hydrated and fed, as well as have a supply of milk for those sick ears. Philomena is a very independent, fast-moving child. (Not the “cuddly” type in the slightest.) Nursing and baby wearing are the only two times that Philomena would slow down and just connect. When Zelie arrived and Philomena was suddenly not the only child, the transition went *way* smoother than I expected. In fact, there was no change in Philomena’s behavior at all; she loved her little baby sister, and was happy as could be. She has not struggled with any jealousy/frustration/anger with a new sibling so far. Maybe she would have been this way no matter what, but I think the security of knowing that we still have special nursing times and that it isn’t something just for baby has helped her make the transition with more comfort and confidence than if I hadn’t been able to provide that to her. So now comes the question of how long will I nurse my kids for. There is no arbitrary cut off date for us, because I can’t know our future needs. When she was starting to have meltdowns a few months ago whenever I had to stop nursing her to move on with our day, I found that the stability of set, expected nursing times actually worked better for her. So, Philomena nurses before nap, and before bed. She calls these our “special nursie times,” and they are special and treasured indeed. We take our life one day at a time, and like everything else with parenting, we tailor our nursing to our needs, not some random age rule. Just when I have moments that I think Philomena will never wean, she will surprise me. Three times recently Ethan put her to bed because I was helping Zelie, and she forgot to ask to nurse. The day is going to come when I will realize that Philomena and I had our last nurse and didn’t even know it. Even though many in our culture can’t understand why we are still nursing, I am treasuring each time, because this special relationship has benefitted us more than I could adequately describe, and it will be gone so soon. When it’s over, Philomena will be off happily playing, and I think I’ll be the one shedding a few tears. Even though in America breastfeeding rates drop off drastically after 6 and 12 months, there are many benefits nursing beyond those ages. From improved neurological development and increased immune system health for the toddler, to a significant decrease in the risk of cancer, arthritis, and osteoporosis for the mother, this well researched and referenced page from KellyMom.com features a ton of great information on breastfeeding beyond infancy. My age of weaning my nurslings has widely varied depending on a wide range of circumstances. My son who nursed to just shy of 3.5 years easily has the strongest immune system of all of my kids though. We also have a very different relationship than my kids who weaned earlier. 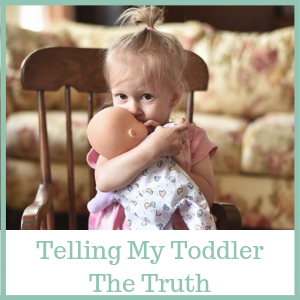 Nursing helped us pass through many frustrating stages in toddlerhood far more easily than with his siblings (experience probably played a role too). What interesting insights! So far my 6 mo old Zelie has tested free of any allergies, and just based on her personality I wouldn’t be surprised if she self-weans earlier. I’m glad to hear from an experienced mom how helpful this has been! Love this. I’ve nursed both my kids till about 3, including tandem nursing for a little while. It really is such a helpful parenting tool with tantrums and getting them to settle down for bed. Not to mention if they get a tummy bug, I’m always glad I had that to fall back on to keep them hydrated. I’m with you! Ironically, I posted this while Philomena had oddly taken a second nap… she woke up with a fever (We have been in close quarters with a sick relative for days), and she was so happy to nurse! I too have enjoyed nursing and tandem nursing my toddlers. In my house, weaning happens as needed for both of us. As both of us get busier and I feel less like nursing an older child in public, nursing goes to special times like it has for you. Finally, as my toddler gets over 3 years old and another baby is here or on the way, I listen to my own body as well as my understanding of what they are prepared for to SLOWLY taper nursing off to 1xday, to 5xweek, etc, until finally I make the final decision to wean. Even though hardly anyone I know in real life nurses past 3, I know there is nothing at all wrong with it and it has its own special benefits, like the ones you mentioned. I’ve been nursing for almost 8 years straight and I am happy that this situation has worked so well for us. 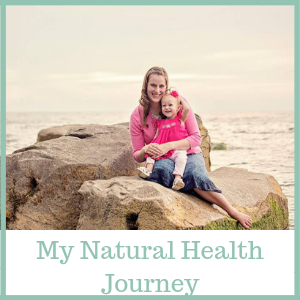 Thanks for sharing your story to help normalize a less common variation in nursing and weaning! You’re welcome, and thanks for reading and sharing your journey, too. 8 years strong nursing is amazing! This may be a dumb question but how do you have enough milk for a toddler and a newborn? There are no dumb questions 😉 – our bodies produce milk corresponding to demand. The more the breasts are sucked, the more milk they produce. It’s just like how a mother of twins can nurse both her babies and have enough. At this point Philomena is just nursing a few minutes a day. Whenever she has nursed less I would feel very full a couple days, then my body would realize there was less demand for milk and would make less. Loved this! And I love the name Philomena!! Thanks for sharing Mariette. Just came across your site when I typed into Google “Catholic Homemaking”. I’m still nursing my daughter who just turned 3! Most friends who ask me don’t understand either. But we have the most beautiful bond. And I really attribute so much of this to the nursing. Keep up the good work on all fronts. I will be reading more of your posts.